Last week, the Court heard the case of Zakrewski v The Regional Court in Lodz, a case concerning the requirements for a valid European Arrest Warrant under the Extradition Act 2003, s 2(6)(e). The respondent was arrested on the grounds of two European Arrest Warrants, which detailed sentences for various crimes of which he had been convicted. EAW 1 was issued by the District Court of Torun and EAW 2 by the Regional Court of Lodz. EAW 2 related to six offences that resulted in four sentences: a three year suspended sentence in respect of offences of assault and robbery, a four year suspended sentence in respect of robbery and theft, a three year suspended sentence in respect of theft and a four year suspended sentence in respect of theft. However, prior to the hearing in relation to his extradition the four sentences were reduced to one year and ten months by an order of the District Court in Grudziadz. S 2(6)(e) of the 2003 Act requires that an EAW must state the “particulars of the sentence which has been imposed under the law of the category 1 territory in respect of the offence, if the person has been sentenced for the offence.” The respondent submitted in the Administrative Court that EAW 2 was no longer valid because of the passing of a “cumulative sentence” which substituted a total penalty in respect of all of the offences to which the second warrant related. District Judge Rose found that the warrant still satisfied the requirements of s 2 (6)(e). The judge relied on the wording of the letter from the Regional court of Lodz that stated that “Pursuant to the judgement passed, Lukasz Zakrzewski has been sentenced to a cumulative penalty of one year and ten months’ imprisonment . . . At that, it should be underscored that a cumulative sentence does not invalidate any of the single sentences covered by that cumulative sentence and its only effect is that instead of executing the single penalties of imprisonment imposed on the convict, a cumulative penalty is executed in the extent determined in the cumulative sentence.” District Judge Rose considered that the warrant therefore still accurately reflected “the sentence which has been imposed” as required by the subsection. In the Administrative Court it was argued on behalf of Mr Zakrzewski that the requirement in section 2 that a warrant must state the sentence imposed in respect of the offences on the warrant requires any aggregate sentence to be stated. Mr Justice Lloyd Jones agreed. On his analysis it was clear that the cumulative sentence was the operative sentence and that the previous individual sentences, while remaining valid, were not operative. Justice Jones also rejected the argument that s 2(6)(e) should be read to refer to the situation as it existed at the time of the warrant and therefore it was sufficient that the warrant provided an accurate statement of the sentence at the time the warrant was issued. The purpose of s 2(6)(e) is to provide the necessary sentencing information in order to determine if the requirement of s 65 of the Act are satisfied. In order to determine whether the offences identified in the warrant are extradition offences within s 65(2), (3), (4), (5) or (6) the court has to ascertain the length of sentence which has been imposed. Justice Jones concluded that in order to fulfil this purpose, the information must relate to the current operative sentence and not to earlier sentences that have been subsumed in an aggregated order. In the absence of such information there is a danger that a court may proceed on the basis of earlier individual sentences and, in certain circumstances, may come to an incorrect conclusion as to whether the warrant relates to an extradition offence. Justice Jones also referred to the Art 8 of the Framework Decision that a European arrest warrant shall contain information about “(f) the penalty imposed, if there is any final judgment.” Where there is an aggregated sentence, it is that which is the final judgment. As a more general principle Justice Jones stated that there is a duty on the part of the requesting authority to ensure that the information contained in the warrant is proper, fair and accurate. 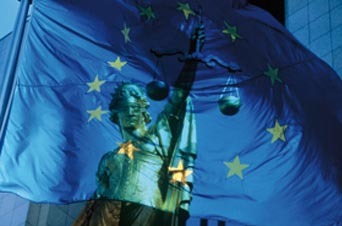 Therefore, after a European arrest warrant is issued, if the courts of the requesting State vary the length of sentence imposed for the offence to which the warrant relates, it is necessary for the requesting authority to withdraw the warrant and issue a new warrant that accurately states the sentence imposed and meets the requirements of s 2(6)(e). Extradition cases often turn of what may be perceived as legal technicalities. Assange turned on the exact interpretation of the words ‘judicial authority’ and this case turns on what some would perceive as a similar legal pinhead. However, the wide sweeping nature of the EAW system is in part justified by its rigorous procedural requirements, and its operation needs to be absolutely clear. It is not uncommon for sentences to be changed by requesting courts, and as such any clarity provided by the Court on this issue will greatly aid the practical implementation of the EAW system. Leave a reply on "Case Preview: Zakrzewski v The Regional Court in Lodz, Poland"